MOSCOW (Sputnik) – The Pentagon is getting ready to set a missile defense shield in Syria’s northeastern Al Hasakah and Rmelan, former Commander of Syria's Deir ez-Zor Military Assembly Fayez Esmer said. "The US’s next step is to build a missile defense shield in the region which must be considered as a part of Washington’s long-term plan for chaos in the region," Esmer told Yeni Safak newspaper on Tuesday. He added that the United States were thus, among others, trying to protect Kurdistan Workers’ Party (PKK) militants in the region. "The Washington administration has realized that the PKK is insufficient regarding its plans related to east of the Euphrates. Therefore, it will further fortify its military presence in the region. On the other hand, US activities carried out in Syria and Iraq is due to its determination to exploit underground resources," Esmer said. 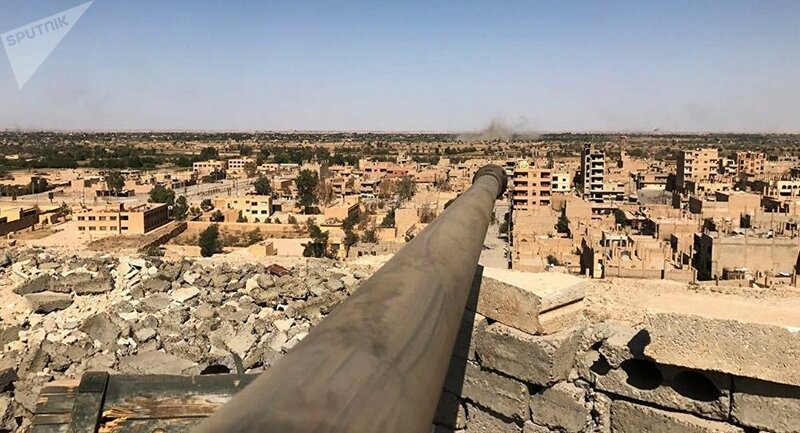 Washington has already constructed three radar systems in Hasakah-Tal Baidar countryside along with the Ayn al-Arab and Sarrin regions, Yeni Safak reported. The US-led coalition of more than 70 countries is conducting military operations against the Islamic State in Syria and Iraq. The coalition's operations in Iraq are conducted in cooperation with the Iraqi government, but those in Syria are not authorized by the government of President Bashar Assad or the UN Security Council.